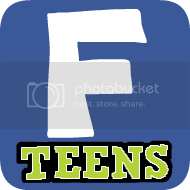 blo Teens Read and Write: Our First Win in a Book Giveaway! Our First Win in a Book Giveaway! We are thrilled to be winners in a giveaway for Cold Streak! A great big bundle of thanks to Eleni at La Femme Readers for having the contest! 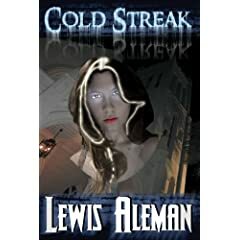 Cold Streak by Lewis Aleman looks like a great read. Laura's family is brutally murdered, and she finds herself on her knees praying for things she never could have imagined. Her dark journey of revenge takes off as she hunts her family's killers, while being chased down by a troubled detective, his lovelorn partner, and an inner voice that grants her no peace. Her quest lures her through an explosive music scene, down unlit alleyways, to the edge of a towering church rooftop, and into the nightmarish landscape of her own mind. Will she get her justice before time runs out? Will her own lust for vengeance consume all that is left of her in the process? Thanks again, Eleni! I love a good thriller and this looks fabulous. Just a reminder, we will be rolling out our first giveaway next week so keep an eye out. Then we will have a chance to make other bookaholics as happy as Eleni has made us! Has anyone read Cold Streak yet? What did you think? Here's the trailer. Looks a bit gorey! C0NGRATS TO THE WINNER! How exciting, the first one for your blog! Wahoo! I had my first win this week too. Have fun reading it. 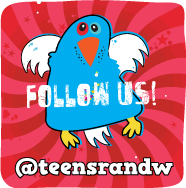 Our Blog Rocks! Lori Said So! The Lemonade Award! Thanks Jessica! Mega Book Giveaway Coming Soon! HAVING TROUBLE COMMENTING? AND ZOMBIE CHICKENS! WIN A COUPLE OF GREAT BOOKS FROM NIKOLA!